as the beauties of the Nicaraguan countryside and people. Livingston, Montana is his home base. Paul has worked as photographer for the U.S. Naval Oceanographic Office, and done contract work for the EPA and many other agencies and corporations. His photographs have been published in many publications, including Time Magazine, Reader's Digest, Rolling Stone, and Harrowsmith/Country Life. Since 2002, Paul and Pam have been working together on a project to gather photographs and record testimonies documenting the long-term effects of the Contra War on ordinary Nicaraguans. From 2002 to 2010, they spent a total of seventeen months in Nicaragua over the course of four trips. They also traveled around the U.S. on extensive speaking tours between their visits to Nicaragua. They have collected a large archive of photographs, and tapes and transcripts of interviews with over one hundred people. 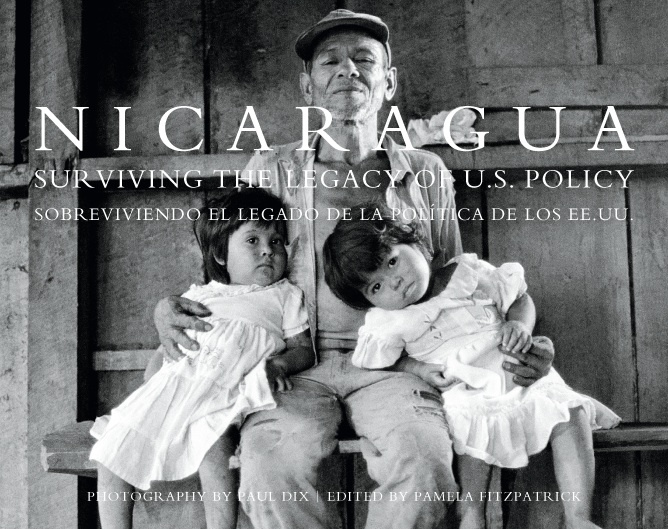 Their 220-page book, NICARAGUA: Surviving the Legacy of U.S. Policy, was published in 2011, and can be ordered on this website. Pam Fitzpatrick is a professional community organizer who worked in the Sanctuary movement in the early 1980s and was director of the North Pacific Witness for Peace office in Eugene, Oregon from 1985 to 1993. She led delegations to Nicaragua, the Texas border, and more. Pam has also worked for a Legal Aid office in North Carolina, and as Director of Lane County (Oregon) WIC (Women, Infants, and Children) program. Questions or comments about this page? Contact briley [at] efn.org. Last update: April 27, 2011.